Every April 24th Armenians around the world answer Hitler’s question, “Who remembers the Armenians?” This day is the anniversary of the rounding up, imprisonment, and eventual deportation and murder of Armenian intellectuals in Turkey in 1915. Ninety-seven years after 1915, Armenians and non-Armenians, world leaders, governments around the world, and more and more Turkish intellectuals condemn the Turkish Government for its choice to actively deny the Armenian Genocide. The Turkish Government’s immoral genocide denial campaign extends beyond its borders. The Turkish Government’s propaganda has insidiously infiltrated the highest levels of many democratic governments, including the United States. 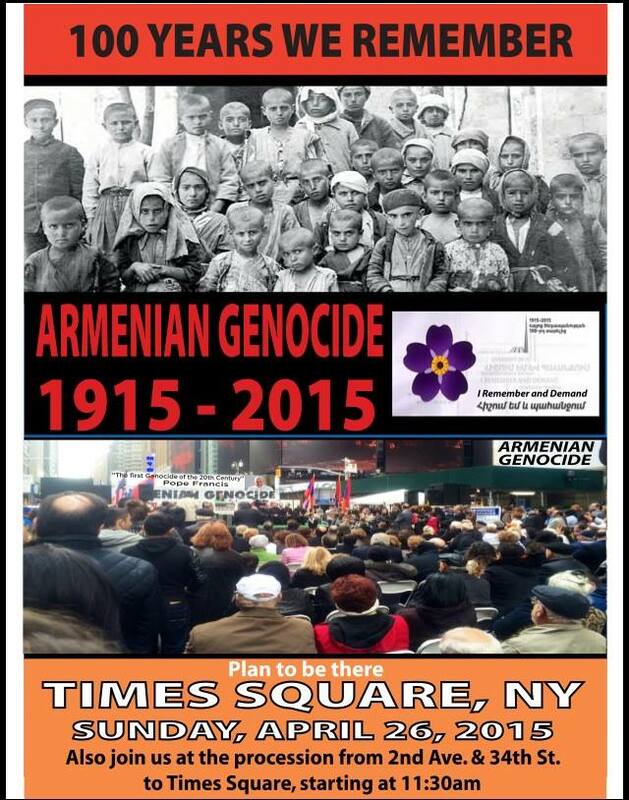 At least one and one half million Armenians (two-thirds of Armenians) died in the Armenian Genocide. Over six million Jews died in the Holocaust. Many believe Hitler was emboldened to carry out his plan to exterminate the Jews because he was inspired by Turkey’s near success with its systematic destruction of the country’s indigenous Armenian population. Ninety-seven years after 1915 the world community continues to stand by and monitor genocides (e.g. Rwanda, Darfur). An evil dictator such as Syria’s Assad takes license to kill within his country’s borders because he believes he can get away with his crimes. In a world in which the Iranian President can deny the Holocaust and incite fanatics to wipe Israel off the map, we must look inward and ask ourselves how we allow this behavior. We must vote out government leaders who enable genocide denial and genocidal regimes. We must mean what we say, when we declare “Never Again”. This blog is dedicated to the memory of every Armenian victim of the massacres, pogroms, mass deportation and genocide committed by the Turkish government.